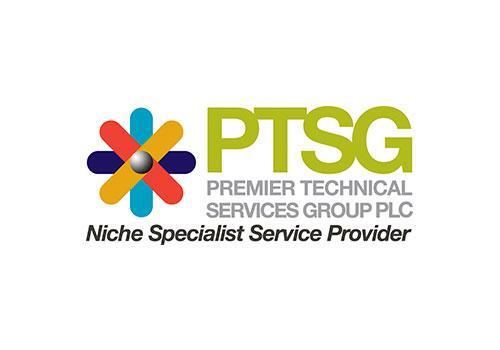 Premier Technical Services Group PLC (“PTSG” or the “Group”), the niche specialist services provider, announces its final results for the year ended 31 December 2018. Group revenue up 31% to £69.1m (2017: £52.9m). Strong underlying organic revenue growth of 19%. Gross profit up 29% to £35.0m (2017: £27.1m). Adjusted operating profit* increased 40% to £14.9m (2017: £10.6m). Adjusted profit before tax** up 40% to £14.3m (2017: £10.2m). Adjusted EPS* up 22% to 11.86p (2017: 9.73p). Final dividend increased by 13% to 0.90p (2017: 0.80p). Successful equity raise of £20m (before expenses) to support acquisitions. M&P Fire Protection Ltd, enhancing the Group’s scale and geographic coverage in its sprinkler and dry risers operations. Fully integrated and trading significantly ahead of the acquired business with a strong order book and pipeline. Guardian Electrical Compliance Limited, increasing our already strong presence in the electrical safety services market. Guardian has traded well since acquisition and is now expanding into Scotland and increasing its remedial offering. Guardian’s proprietary software platform, TraQ-it software will be combined with PTSG Clarity to strengthen the Group’s service offering to our customers. Renewal rate remained high at 88% coupled with strong performance from the Group sales team. Acquisition of Trinity Fire and Security Systems Limited on 21 January 2019. This transformational acquisition will significantly extend PTSG’s Fire Solutions division to offer a full suite of fire protection services. Headquartered in Castleford, West Yorkshire, the Group employs more than 1,200 people across 31 UK sites, who service more than 180,000 buildings across the whole of the UK for over 20,000 customers in a wide range of industries. The first half of 2018 saw the Group successfully integrate the three acquisitions made in 2017 and deliver healthy levels of profitable growth within its new divisionalised structure. The second half of 2018 saw the Group make two further acquisitions, raise fresh equity proceeds of £20m (before expenses) from a successful placing of 12,698,414 new ordinary shares at a price of 157.5 pence per ordinary share with institutional investors and continue to deliver further healthy levels of organic turnover and profit growth. As a result of all these factors, I am pleased to report that record levels of turnover, gross profit, adjusted EBITDA and adjusted earnings per share were achieved in the year ended 31 December 2018. Subsequent to the year end we purchased the entire issued share capital of Trinity Fire and Security Systems Limited and have recently announced the negotiation of £40m of committed banking facilities with HSBC UK Bank plc. The Group is very well placed to continue its 12 year history of delivering year on year profitable growth. Two acquisitions were completed in 2018. The acquisition of the entire issued share capital of M&P Fire Protection Limited (“M&P”) was completed in July 2018 for a total consideration of up to a maximum of £3.5m, comprising an initial cash payment of £1.0m and deferred payments of up to £2.5m payable over five years subject to the business achieving stretching and escalating profit targets in each of those periods. M&P significantly enhances the scale and geographic coverage of the Group’s sprinkler and dry risers operations and has performed well since it joined the Group. The acquisition of the entire issued share capital of Guardian Electrical Compliance Limited (“Guardian”) was completed in October 2018 for a total consideration of up to a maximum of £16.0m comprising an initial cash payment of £12.0m and deferred payments of up to £4.0m payable over three years, subject to the business achieving stretching profit targets. Guardian significantly increased our already strong presence in the electrical safety services market and possesses in “TraQ-It” a proprietary software platform which provides customer and staff with a unique , interactive on line portal. “TraQ-it” will be combined with PTSG Clarity, the Group’s existing proprietary operating system, to strengthen the service offering to PTSG Group’s customers. Guardian has also performed strongly since joining PTSG. The acquisition of the entire issued share capital of Trinity Fire and Security Systems Limited was completed in January 2019 for a total consideration up to a maximum of £15.8m, comprising an initial cash payment of £10.8m and deferred payments of up to £5.0m payable over two years. Trinity is seen by us as a transformational transaction since it greatly increases the size and offering of our Fire Solutions Division, making it the largest division in the Group and enabling us to provide a full suite of fire protection services. Again, Trinity has performed encouragingly well since joining PTSG. As is our policy with all deferred payments to which Premier Technical Services Group Plc is a party, such payments can be satisfied in cash or shares at our option. despite the working capital impact of underlying organic turnover growth during 2018 of 19%. 2018 saw applications and accrued income levels principally associated with the Group’s installation activities reduced by 14% to £8.4m at 31 December 2018 (2017: £9.8m) despite the substantial increase in the Group’s turnover. Debtor days on invoiced sales equated to 88 days at 31 December 2018 (2017: 97 days) and further improvements in the Group’s working capital position have been targeted for 2019. Underlying organic turnover growth of 19% is regarded by the Board as healthy and the performances of our Fire Solutions and Electrical Services divisions were especially pleasing. Turnover from recurring compliance and maintenance activities increased to 51% of total Group turnover during 2018 (2017: 48%), with the associated gross profit of £22.8m amounting to 62% of total Group gross profit (2017: 58%), and we expect that the full year effect of the Trinity acquisition will naturally increase this percentage in 2019. Gross profit margins remained strong at 51%, showing continuing sustainability in all areas, which reflects the strength of the Group’s established operating model. We pride ourselves on the fact that our operating model is best in class in the markets in which we operate; the contract renewal rates in our core maintenance divisions were at 88% in 2018 and once again we believe that this is an industry-leading contract renewal rate. The Group’s major accounts sales team was grown in size in 2018 and had a successful year; the cross-selling of the Group’s service offering to our large customer base continues to gather positive momentum and continues to provide further organic growth opportunities. The Chief Executive’s Review provides further detail on the initiatives currently underway in the key areas of efficiency, innovation and scalability, which will continue to improve the range and quality of our multi-disciplinary service offerings. We operate only in those areas where we believe that our established operating model can work effectively. We have grown both organically and as a result of completing 26 acquisitions since the Group’s creation in 2007. Our turnover and underlying levels of EBITDA have more than trebled since our IPO in February 2015. The successful placing which raised £20 million of fresh equity proceeds in October 2018 together with the Group’s strong underlying operational cash flow and newly announced expanded committed banking facilities provide us with plenty of headroom to continue to develop our established growth plans. I would like to thank the 850 employees, based in 21 locations across the UK, for their continuing commitment. The Group continues to win awards for its performance at Institute of Workplace Facilities Management “IWFM” and Premises and Facilities Management “PFM” annual ceremonies because of their hard work. 2019 has started well as we continue to deliver against our strategy to seek sector dominance in the markets we serve, which are underpinned by compliance demand. The Board is both confident and enthusiastic about the Group’s prospects and performance. After 12 years as Chief Executive of PTSG, I have never felt greater pride in the work we do, the positive effect we have on building users and the workplace environment, and the benefits this brings to everyone involved with the company – directly and indirectly. PTSG is unique in the way it provides building owners and managers with the niche specialist services they need to operate at optimum efficiency. We have never strayed from our original vision of meeting a market requirement for a single provider of multiple expert services to the services and construction sectors. As we continue to pursue our business model, which combines acquisitive growth and organic growth, while delivering our unique bundled service provision, we enjoy year-on-year growth. Absolutely fundamental to this growth and success is our approach to customer service. Its importance for any business can’t be overstated, but for PTSG it’s the destination to which all other roads lead. In every job we do, we want to delight our customers through our high standards of workmanship. We look for ways to innovate, to offer cost-effectiveness, to offer services beyond the original contract and to ensure our operatives undertake every action safely. This approach guarantees the best possible result and has led to a contract renewal rate of 88%. This is an endorsement that we do “get it right” and is something we aim to maintain and build on even further. Having mentioned acquisitions as one of the bedrocks of our success, in 2018 we made two carefully targeted and highly strategic business acquisitions that have bolstered our Fire Solutions and Electrical Services divisions – which I expect to be the two most prolific areas of the Group in 2019. M&P Fire Protection Ltd. (M&P) was acquired in July 2018. The team provides a range of services in the installation, maintenance and testing of dry and wet riser systems and commercial and domestic sprinkler systems. Based in Maidstone, Kent, this gives us a substantial presence in the south of England. In October 2018, we acquired Guardian Electrical Compliance Limited, based in Sheffield, to enhance our strong presence in the electrical safety services market. 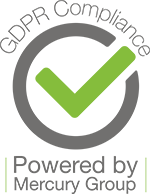 The company complements our existing compliance and testing operating model and product coverage extremely well. Furthermore, its proprietary “TraQ-It” software platform enhances our existing disciplines. Guardian, therefore, is far from just a commodity; it is a managed testing service – and 72% of PTSG’s proforma 2019 gross profit is generated by compliance businesses. It is worth noting that we have made 26 business acquisitions to date. A substantial number of these were in the areas of lightning protection and electrical testing and maintenance, which has seen PTSG Electrical Services Ltd. become the largest of our four business divisions, making a significant Group turnover contribution. I am confident that Fire Solutions will follow a similar path, aided by the ongoing high demand for services in this area. The disaster triggered a huge demand for fire safety and suppression systems to be installed within buildings, with several councils in London alone committing to sprinkler systems in all of their housing blocks of a certain height. The world’s first modern recognisable sprinkler system was installed in the Theatre Royal, Drury Lane in the United Kingdom in 1812 by its architect, William Congreve, and was patented the same year. It’s an innovation which has been saving lives for over two centuries and has the potential to save countless more. Of course, innovation is about much more than technology. As a multi-disciplinary service provider, it is about being open to change with the ability to adapt quickly and effectively to meet the evolving needs of the business leaders in our industry. In 2017, this saw us reorganise our business as a result of the call for stringent adherence to the highest standards of safety regarding fire solutions in buildings. Our approach in creating a discrete Fire Solutions business division in answer to an industry and governmental need has had the dual effect of safeguarding a substantial and growing number of buildings from the risk and effects of fire, while growing our business. As demand continues to grow, we will remain extremely vigilant in upholding these standards of fire safety and will look for areas to further strengthen our services in this area – and our coverage of the UK. It could be said that as far as PTSG is concerned, the revolution took place in 2007, the year the company was formed, and the evolution is ongoing. We achieve continuous growth by delivering niche specialist services to the highest possible standard – work which improves the day-to-day lives of building users in many different sectors. Safe working is an original and integral part of our ethos; rather than doing what is necessary to be safe, we have always tried to set the standard for safe working within the industry. It’s a way of working that has seen our HSEQ team actively featured heavily in trade publications such as PFM magazine, and in 2018 we received our eighth RoSPA Gold award and our second Gold medal. changed its name to the Institute of Workplace and Facilities Management (IWFM). It’s a change that PTSG fully endorses; giving special significance to the term ‘workplace’ resonates with the approach we take to working in multiple areas of the services and construction sectors. We have always held the view that the niche specialist services undertaken as part of facilities management contribute to the performance of organisations of all kinds. In fact, the design of this annual report was based upon the theme: ‘Connected workplace that drives innovation’. I am delighted to report another year of exceptional growth – Group turnover is up substantially on last year’s figure. All four divisions have performed well but special mention must be made of Fire Solutions which, at the time that the Interim Report 2018 was published, was already making a contribution of 21% while only in its second year of operation. As ever, our growth is down to the talent and hard work of all 850+ team members. £3.0m (2017: £3.2m) however, the margin increased to 17.0% (2017: 15.8%). £30.9m (2017: £20.2m) as it became the largest division with the Group. Adjusted operating profits increased by 49% to £7.0m (2017: £4.7m). We saw growth in all services with the acquisitions made in 2017 and 2018 making good progress. Steeplejack Services, High Level Installations, High Level Remedials, High Level Cleaning. Our products and services enable safe, efficient access to any part of any building. Our team members are experts at working at height and performing a high-quality service even in the most inaccessible locations. We employ some of the UK’s most talented and safety conscious working at height specialists in the UK. In 2018 we achieved an increase in turnover to £5.6m (2017: £5.4m). Adjusted operating profits rose to £1.4m (2017: £1.2m). Wet and Dry Risers, Sprinkler Systems, Fire Alarms, Emergency Lighting, Fire Extinguishers (design, install and maintenance). We now offer one of the UK’s most comprehensive fire solutions services delivering high quality, safety systems in both residential and commercial settings. Turnover increased rapidly to £15.3m (2017: £7.1m) benefiting from strong organic growth coupled with a good contribution from M&P Fire Protection Ltd which was acquired in July 2018. Adjusted operating profits increased to £3.5m (2017: £1.6m). PTSG has in place a strong pipeline of acquisitions, and our ongoing work to make sure our infrastructure is scalable will support further significant additions to the Group. This bodes extremely well for our investors; PTSG is the leader in the market sectors in which it elects to operate. We have achieved this position through acquisitive growth, balanced by organic growth. While it is predicted that Fire Solutions will make the largest contribution to Group turnover in 2019, followed by Electrical Services, I am also extremely optimistic of further growth in Access & Safety and Building Access, with plans for further expansion and geographical coverage in these areas. We must, as a business, be equally vigilant regarding efficiency as we are with company growth and any areas for improvement must be addressed. For example, we will continue to identify opportunities for upskilling our staff and retaining the talent within our workforce; we will continue to look for ways to innovate, either through technology and software or the way we operate as an organisation; and we will play to our strengths and maximise opportunities for cross-selling. All of this will help to drive up our already high contract renewal rate, as the improvements within our specialist teams are felt by our clients. I look forward to 2019 with great confidence and the expectation of consolidating our position as leader in our chosen market sectors. We are now focused on facilitating a connected workforce that drives innovation. Every action within all of our projects must be undertaken safely, for the overall safe and efficient operation of buildings in all of the sectors in which we work. In doing so, we will delight a growing diversity of customers. 2018 was another significant year for PTSG with continued substantial earnings and revenue growth. The acquisition of Guardian Electrical Compliance Limited extended our market dominance in our Electrical Services division and the acquisition of M&P Fire Protection Limited enhances our offering in the Fire Solutions division. To provide additional financial flexibility and help fund the acquisitions £20m (pre expenses) was raised via the successful placement of new, ordinary shares. Revenue grew by 31% in 2018 to £69.1m (2017 £52.9m) with 21% from acquisitions and a reported 10% from pure organic growth. We have previously explained that the revenue in the Cradle Installation division is lumpy in nature, with most of the turnover on these long-term contracts being recognised when the cradle is delivered and installed on site. This lumpy nature resulted in an abnormally high turnover for this division in 2017 and a more normalised turnover in 2018. Excluding the impact of these installations shows that the underlying organic growth rate of the Group was 19%. Access and Safety’s turnover was affected by this and as such reported a 14% year on year reduction; with the remainder of the Access and Safety division (excluding Cradle Installations) growing by 14%. Despite the lower turnover, the operating margin grew to 17% (2017: 15.8%). driven by strong growth in the Lightning Protection Testing and Electrical Testing divisions. The operating margin for this division was accretive to the Group at 23%. Following the refocusing of the Building Access Specialist division in 2017, it returned to growth in 2018 with revenue up 4%. Operating margins increased from 22% to 24%. Revenue in the Fire Solutions division grew by 114% to £15.3m, with organic growth at 65% predominantly due to the explosive growth in UK Sprinklers. Operating margin increased by 1 percentage point to 23%. Turnover from recurring compliance and maintenance activities accounted for 51% of the total Group turnover (2017: 48%). Gross profit increased by 29% to £35.0m (2017: £27.1m) with the gross margin, continuing to exceed 50%, at 50.6% (2017: 51.2%). The slight reduction against the prior year margin was due to mix and in particular the strong growth in the Fire Solutions division, which has a GP lower than some of the other divisions but whose operating margin is accretive for the Group. Gross profit from recurring compliance and maintenance activities accounted for 62% of the total Group gross profit (2017: 58%). Operating profit before adjusting items grew by 40% to £14.9m (2017: £10.6m). The adjusted operating profit margin grew by 147bps to 21.6% (2017: 20.1%) with overhead leverage and strong cost control mitigating the slight gross margin reduction. The statutory operating profit was £4.4m (2017: £2.4m) 83% ahead of last year. in which we look to reduce risk by keeping initial consideration payments low and paying deferred consideration in future years against stretching profit targets, meaning these deferred payments are effectively self-financing. The current levels are expected to continue in the near future and will cover deferred consideration from the recent Trinity acquisition. The interest charge and other financing costs were £0.7m (2017: £0.6m). This increase was driven by an increase in finance lease charges in line with the continued expansion in our employee and engineer base. Adjusted earnings per share increased by 22% to 11.86p (2017: 9.73p). £1.9m of dividends were paid during the year and the Board is proposing a final dividend of 0.9p per share. This represents a 13% increase on the 2017 dividends and is in line with our progressive dividend policy. Statutory earnings per share was 2.77p (2017: 1.37p). Net debt, excluding finance leases, had reduced to £11.9m as of the 31 December 2018 (2017: £18.3m), which, together with the 39% increase in EBITDA, meant that net debt had reduced to only 69% of EBITDA. The reduction in net debt was predominantly driven by a surplus from the share placing £7.2m and an improved underlying operating cash conversion of 72%. This was offset by deferred consideration payments of £1.8m, and enabled the Group to spend £1.9m on dividends, £1.6m on capital expenditure and increase its working capital in line with the substantial increase in the size of the Group. Trade and other receivables increased by £5.4m to £35.8m with the two acquisitions adding £2.4m. The acquisitions adversely affect a number of the debtors’ ratios because we acquired the full debtor book but only took a proportion of the year’s turnover. That said, trade receivables and accrued income, at the reported level, only increased by 13% despite turnover increasing by 31%. Accrued income reduced by 14% to £8.4m with virtually all the 2017 balance collected in the year. Trade receivables increased by £5.2m, due to a strong Q4 trading performance, with all the increase in the less than 120 days category. The level of debt in the 120+day category (from date of invoice and not due date) fell by 590bps to 20.6% due to improved cash collection. We have a long-term relationship with our bankers, HSBC, having been a customer for over ten years. HSBC has been very supportive of the Group enabling us to develop our facilities in line with our increasing profitability. Post year end, we announced an extension to our banking facilities with the Revolving Credit Facility, taken out in 2015, increasing to £30m and a £10m term loan, repayable over four years, being taken out. Both these new facilities will give us additional flexibility for the future and are provided with the same covenant testing, but improved interest margins, as the previous facilities. We acquired M&P Fire Protection Limited and Guardian Electrical Compliance Limited during the year for a total consideration of £19.5m, £6.5m of which was deferred and is contingent on the continued employment of the vendors and the achievement of stretching milestone targets. These acquisitions had a significant impact on the closing balance sheet adding £8.6m to goodwill, £6.2m to intangibles, and £0.2m to fixed assets. We believe that 2019 will be another year of substantial earnings and revenue growth driven by both organic and acquisitive growth. We are a well financed group and expect to make improvements to operating cash flow and net debt throughout the year. We believe that the Group remains well placed to deliver on our strategic priorities. * cash and cash equivalents comprises cash at bank in hand of £10,525,955 (2017: £7,002,025) less bank overdraft of £10,402,258 (2017: £12,662,910). The preliminary financial information does not constitute statutory accounts within the meaning of section 434 of the Companies Act 2006, for the financial years ended 31 December 2018 and 31 December 2017, but has been derived from those accounts. These financial statements have been prepared in accordance with the requirements of the AIM Rules, in accordance with International Financial Reporting Standards as adopted by the European Union (“IFRS”), the IFRS Interpretations Committee’s (“IFRSIC”) interpretations and with those parts of the Companies Act 2006 as applicable to companies reporting under IFRS, however, this announcement in itself does not contain sufficient information to comply with IFRS. The accounting policies used in preparation of this preliminary announcement have remained unchanged from those set out statutory accounts for the year ended 31 December 2017. They are also consistent with those in the full financial statements which have yet to be published. Statutory accounts for 2017 have been delivered to the Registrar of Companies and those for the financial year ended 31 December 2018 will be delivered following the Company’s annual general meeting. The auditors have reported on those accounts and their opinion was unqualified and did not contain statements under section 498(2) or (3) of the Companies Act 2006. Principally, all revenue originates in the UK. The reconciliation of Adjusted EBITDA to statutory operating profit is shown below. £3,050,253 (year ended 31 December 2017: £1,330,685). The calculation of adjusted earnings per share for the year ended 31 December 2018 was based on the profit before adjusting items of £13,082,206 (Year ended 31 December 2017: £9,417,904). The annual report will be mailed to shareholders and will be available in due course on our website www.ptsg.co.uk. The annual general meeting will be held at 13 Flemming Court, Whistler Drive, Castleford, WF10 5HW on Monday 17 June 2019 at 2.00pm.